Epson TM-T88IV - Thermal Receipt Printer, Standard USB Interface, No Pole Display Port, No Hub, Auto-cutter. Includes US Power supply. Color: Dark gray. Cables not included. See accessories. The TM-T88IV Thermal Receipt Printer is the perfect solution for high-volume retail and hospitality environments that require fast and quiet receipt printing. The TM-T88IV provides reliability and ease of use with drop in paper loading, tear bar or auto-cutter and Auto Status Back messages. It can print text or graphics in two colors at nearly 8" per second and is available with multiple interfaces, including wireless options. 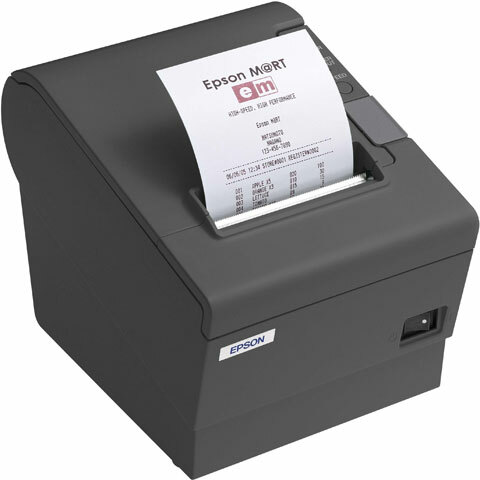 The Epson C31C636101 is also known as Epson POS Products	EPS-C31C636101	.